Remember those theme park shooting galleries where you need to shoot cowboys and items in bars? Well, that's sort of what The Shoot is all about that uses the new PlayStation Move controller as gamers take on the role of an up and coming actor. Even though this game is aimed at family/casual gaming market, it's actually quite an appealing game, albeit a little short in content. It's more a akin to those light gun games that are rather short but even so, The Shoot is definitely something different. As mentioned, you play an actor who plays a variety of different characters from Western films to horror and science fiction to name a few of settings. 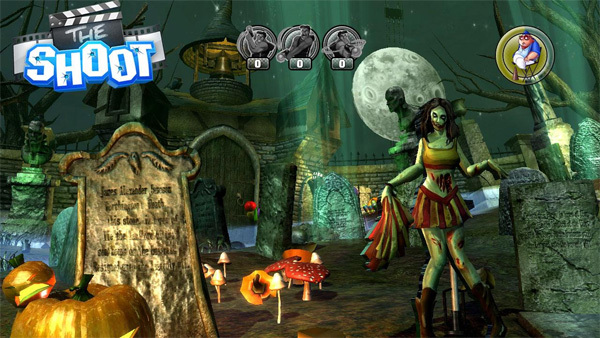 At its heart, the game requires the player to shoot whatever comes across the screen and these are generally cut-outs of cowboys, zombies and aliens. It's also amusing to see the behind the scenes action on The Shoot as you see all the mechanics at work. For example, the developers have made these little special effects quite obviously as a wooden cut-out of a cowboy slides across your gaming environment. Even though you are not killing "real" people or aliens, when you do shoot these cut-outs, they splinter to smithereens. 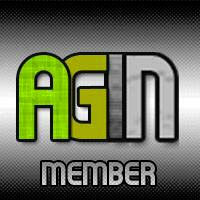 All in all, there are five different gaming environments to play. The game is not all about shooting as you need to please the director of these five movies. If a civilian pops up and you accidentally shoot them, the director's "happiness" meter will drop. However with successful shooting and even combos, the director becomes rather chuffed at how his movie is working out. If the meter drops to zero, you need to use one of your "takes" as opposed to a life. There are some enemies that will fire back and the more virtual damage your character takes, the less pleased the director becomes via his meter so at times, you really need to be on your feet. 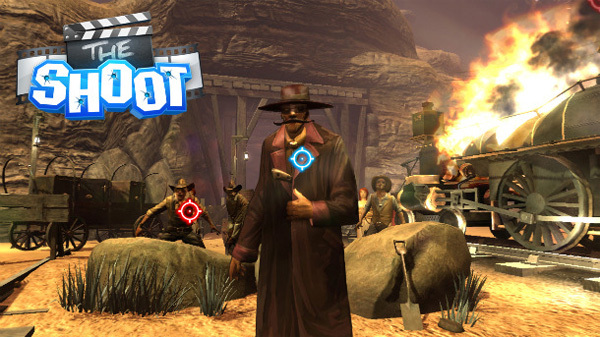 This title also throws a few curveballs into the combat and certain enemies require to be shot in certain places. One cool thing about the game is that there a first person shooter type damage system so if you hit one of the enemies in the head, they are pretty much down for the count. 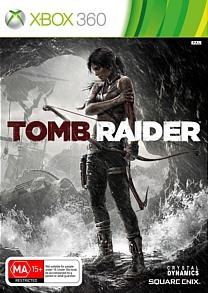 The game even supports a Matrix bullet-time feature and by spinning around of moving the controller around, it activates this special manoeuvre and your weapon's damaged is amplified, including its speed. It's a fun addition to the game and best of all, the Move controller works like a treat, especially with the gun attachment. Dodging in the game works ok as is the cover system but everyone now and then, this game will have difficulty interpreting what you are trying to achieve. 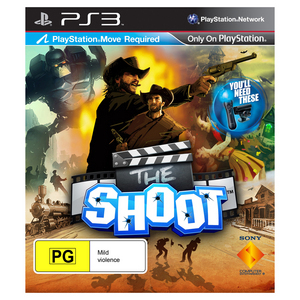 Graphically, The Shoot does look like a casual game but there are some decent effects in the game such as the detailed studios, behind the scenes and cut-out characters. Add in some over the top voice acting and Hollywood type sound effects and The Shoot will definitely appear to a variety of different gamers. The soundtrack also sounds like a Hollywood action movie that enhances the overall gameplay. 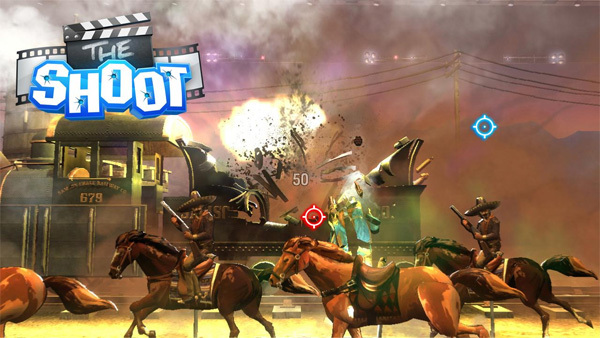 In the end, The Shoot is actually one of the better PlayStation Move titles but unfortunately it's plagued by a very short completion time. Most gamers could easily knock this game over in around 2 hours but thankfully there is a plethora of challenges and unlockables to be found which does draw it out a little more. 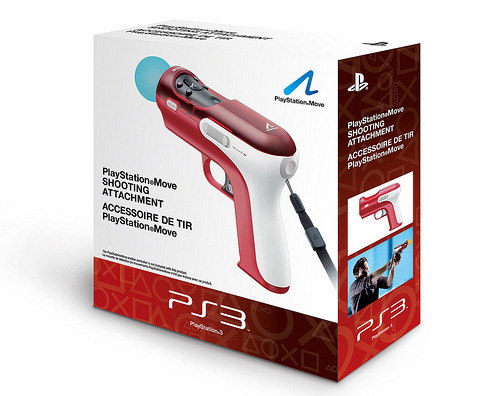 With good use of the Move controller, The Shoot is a game that can be played and enjoyed by all!